We all know that a normal day for any veterinary technician is always crazy. We run all over the place and fly around the clinic. We have so many “jobs.” We are a nurse, an operation assistant, a cleaning woman, a front-desk superstar, a radiographer, a grunt worker, and an anesthetist. Visiting your “happy place” is a vital tool for dealing with workplace stress, especially in the veterinary field. What is yours? Find out how Ann Wortinger, BIS, LVT, VTS (ECC, SAIM, Nutrition) uses education to open new doors and stay on the cutting edge in the veterinary field. Veterinary practices may not need to look far for assistance in public relations and marketing. Esther Klok believes veterinary technicians can play a big role in these areas. Mindfulness is a unique concept to every individual. Kim Pope-Robinson, DVM, CCFP, has introduced a framework to help others find their own sustainable path within veterinary medicine. Erin Freed, CVT, BAS, offers her insight into effective methods of decontamination in dogs and cats. 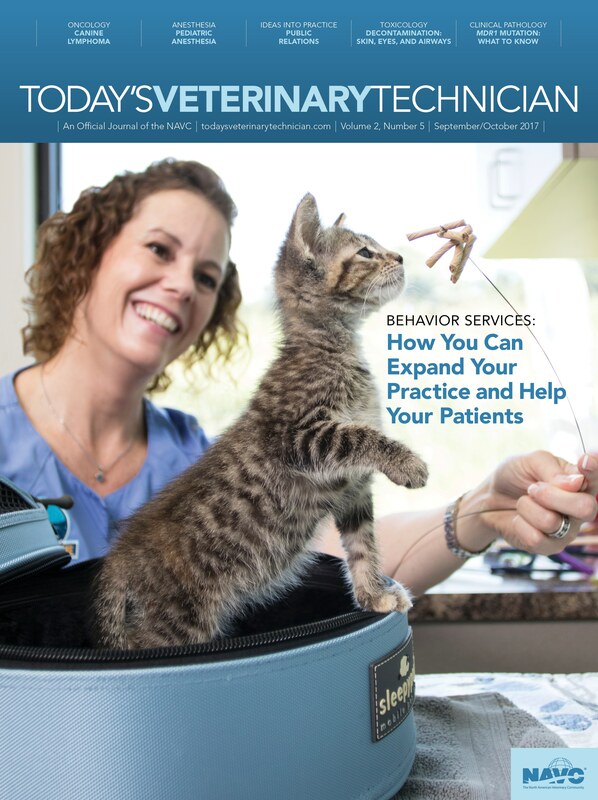 Rachel Beck, CVT, PMP, explains how to take on antimicrobial resistance in a veterinary clinic by applying key concepts of quality improvement. Hidden in the genetic code of many herding-breed dogs is a mutation that increases their susceptibility to drug toxicosis. It is important for veterinary technicians to recognize which dogs are at risk and which drugs to avoid or administer with a reduced dose.